This property has 1 King(s), 2 Queen(s), 2 Full(s), 2 Twin(s). 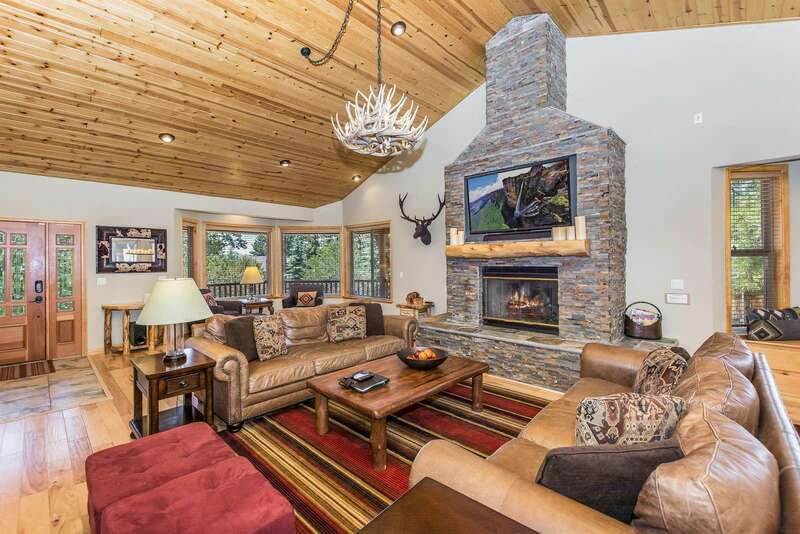 Gorgeous cabin with easy access to everything. 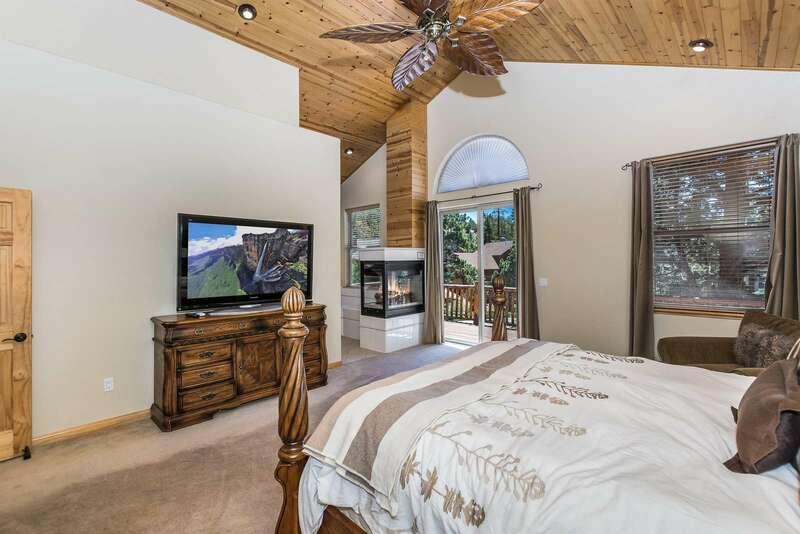 Huge bedrooms, great kitchen and phenomenal game room! Best place I have ever stayed in Big Bear! Highly recommend! 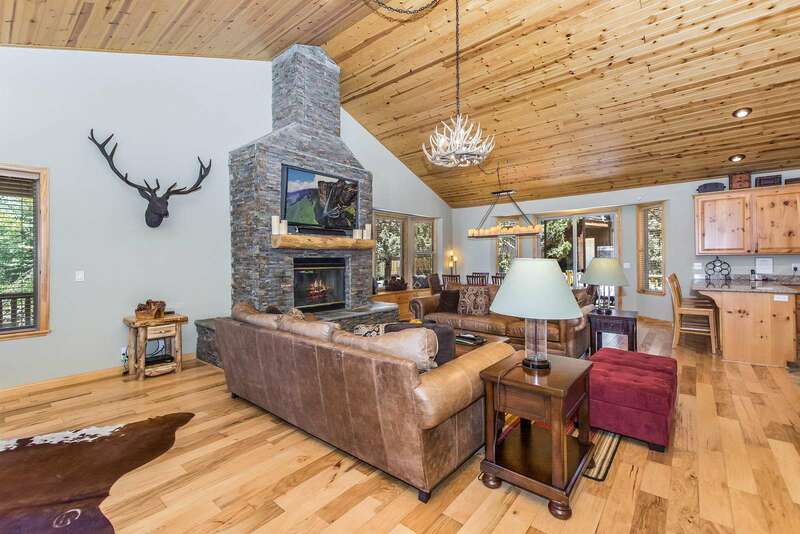 This cabin was the definition of luxury, yet it still held onto the woodsy cabin look and feel. The cabin was just down the street from Bear Mountain and convenience stores etc., but it was still tucked away up in the hills. Living room/kitchen were spacious for our large group of 12. Kitchen and cabinets were well stocked. We never felt like we were on top of each other or that we had to squeeze by each other. Everything felt very clean, which we appreciated. Other than that, it was a perfect stay for a large group. I would definitely stay here again. Our family of 12 (ages 2-65) had such wonderful and memorable experience here! There was more than enough beautiful space to accommodate us all, be it in the rooms, living room, kitchen, dining area etc. Thank you! We’ll be baaack! We get everyone together on my husband's side of the family every year for a week-long vacation. 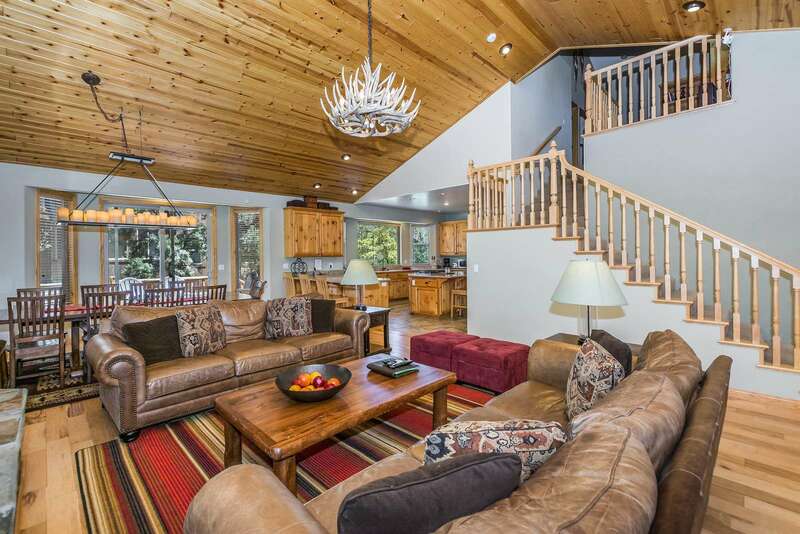 Linaker Lodge was the perfect headquarters to house 7 adults and 6 children (ages 1-7 yrs old). We all love to cook--the spacious gourmet kitchen allowed us to stretch our tap into our culinary repertoire and feed our army. Huge dining room table for the adults, and kitchen counter with stools for the kids during mealtimes. 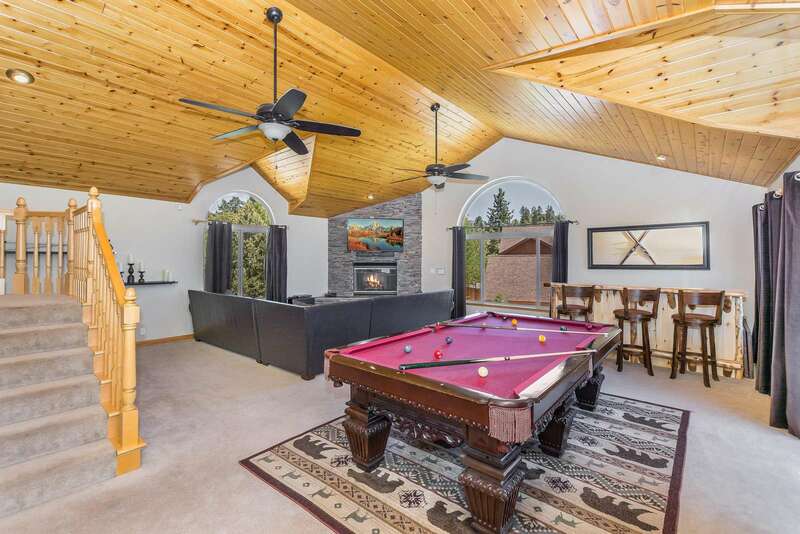 The adults and kids loved the billiards room/playroom in the back of the house. The house was thoughtfully stocked with everything we needed for a comfortable stay. 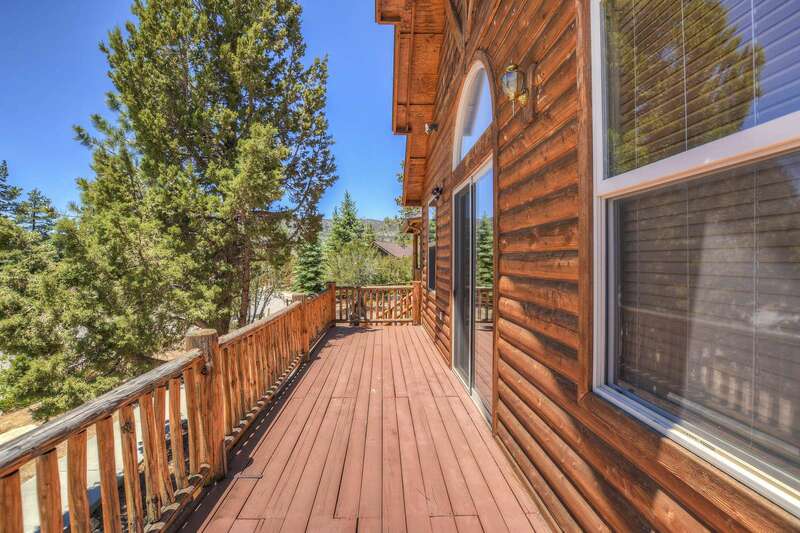 Grocery store, hiking, and fishing sites only minutes away. Craig was super nice and easy to deal with--even touched base with us on Day 1 to see if we had any problems checking in or needed anything. We came in the spring just after the snow was gone, but with the ski resorts nearby, we'll definitely plan a winter trip back to Linaker Lodge. We really enjoyed the stay at Linaker Lodge. There was plenty of space for our large family, the kids enjoyed the game room for sure. It was an awesome place to stay. We will definitely stay here again. 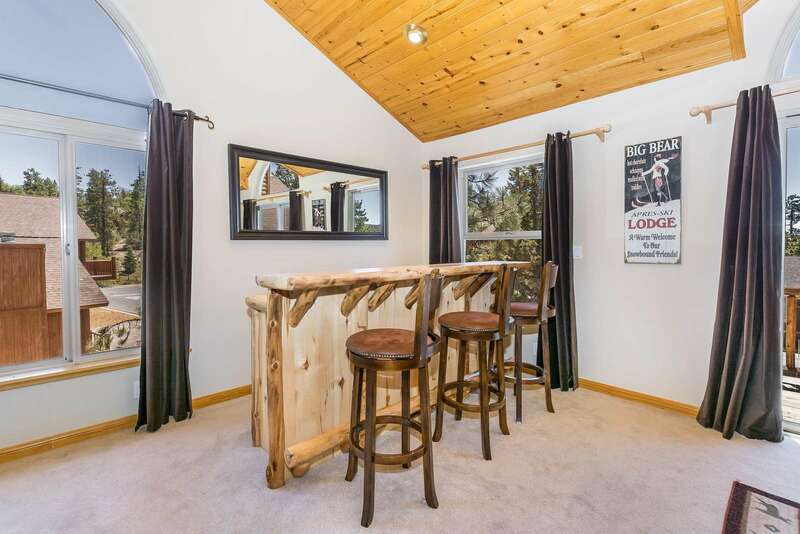 We rented this cabin in order to have additional space for a large group. The rest of our group stayed across the street and we split the time between the two houses. Everything was clean and well-maintained and everyone loved this house. There is plenty of space to spread out, but also several areas large enough to accommodate a big crowd. Definitely recommend this property! 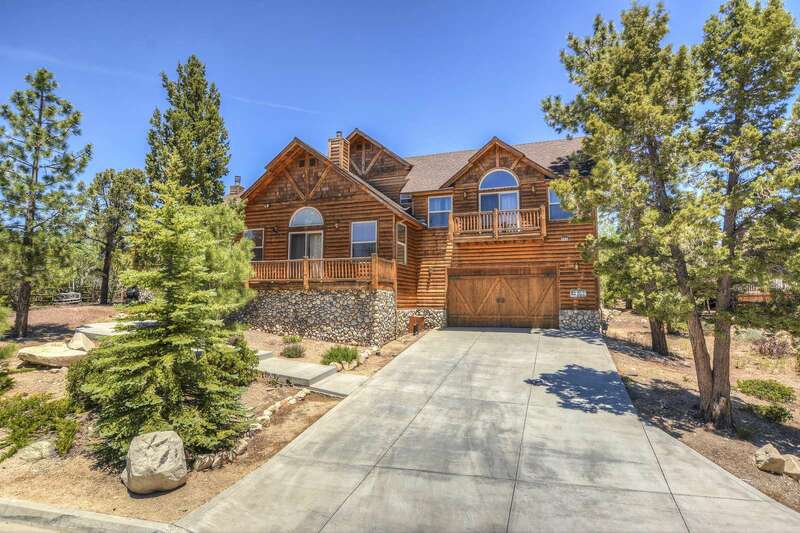 Very beautiful cabin on a quiet cul-de-sac. Very spacious for 10 people. 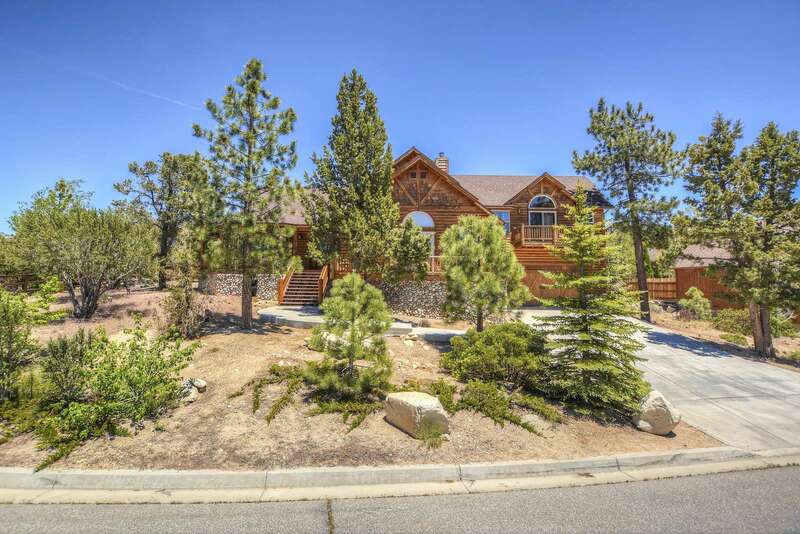 Close to ski resorts and stores. Host was very accommodating to our needs. 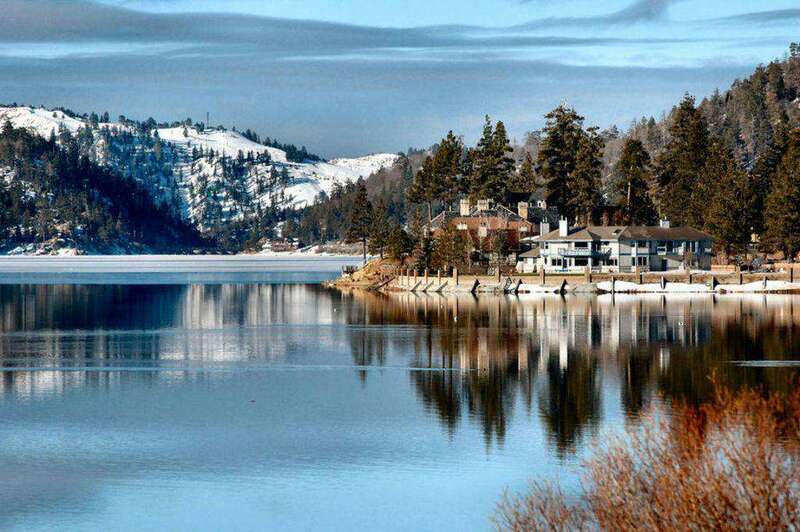 If you are going to Big Bear then this is where you need to stay. The pictures do not do it justice. You need to see it first hand. Will be back here again for sure. We all had the best time in this beautiful, spacious home. Room for everyone and everything. We had three generations, including four children age three and under. This home easily accommodated all ten of us. 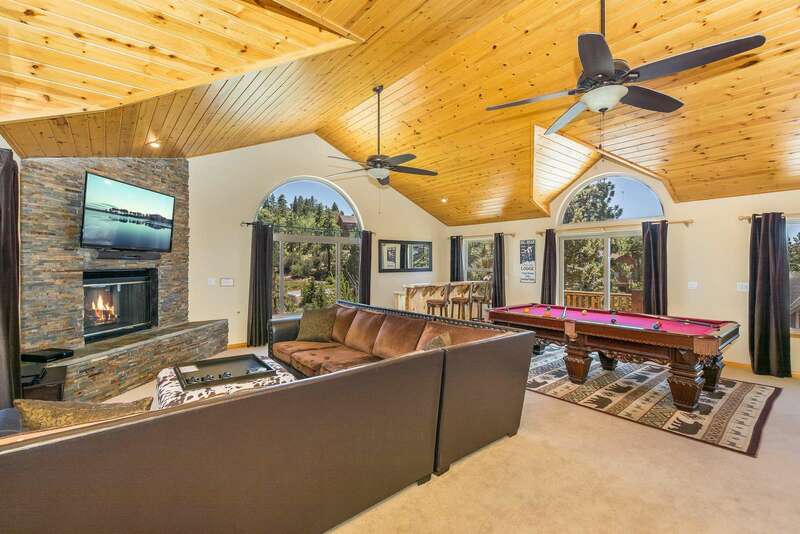 Loved the pool room for adults and play area for kids. 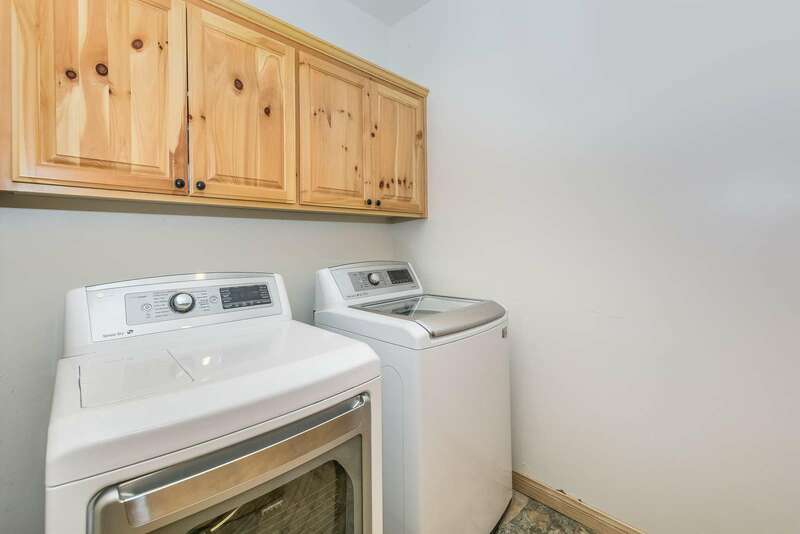 Clean, uncluttered, warm and comfortable. 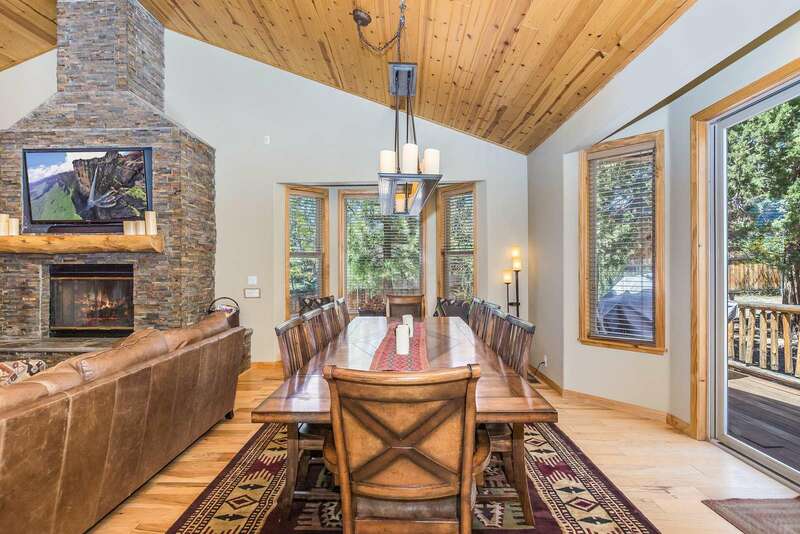 Wonderful kitchen and large dining table for family meals. Craig was great to work with - thank you for sharing your home! Perfect! 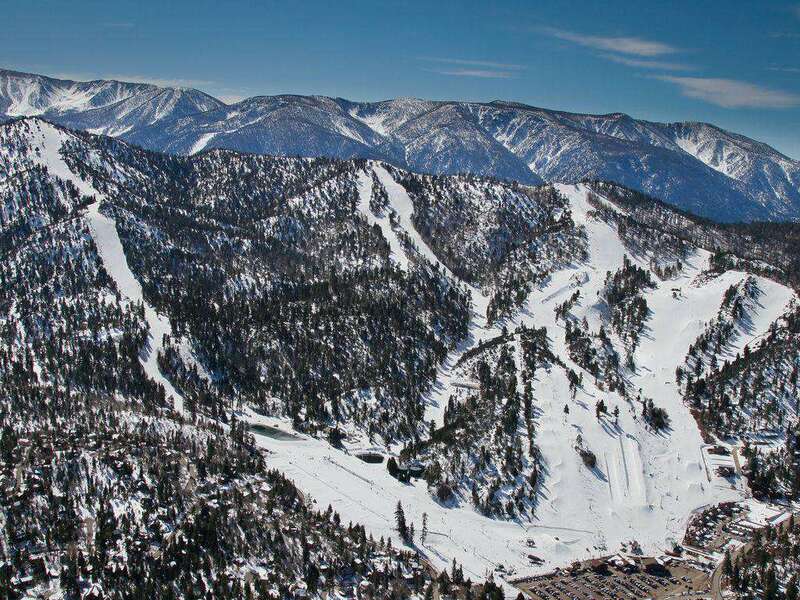 What an amazing adventure we had in Big Bear! 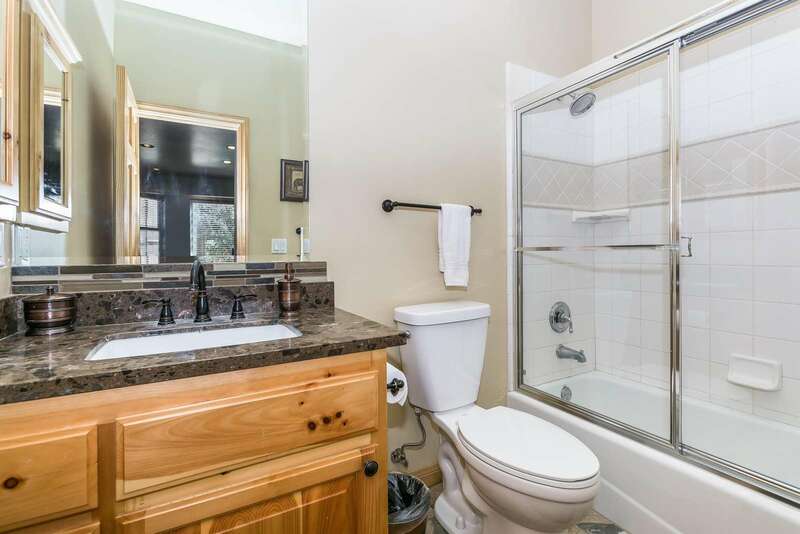 The home is beautiful and spacious, located on a quiet cul-de-sac close to Von's shopping center. A total of 14 people in our group shared this house without difficulty (6 adults, 3 teenagers and 5 smaller ones.) The garage fit 2 of our cars (1 SUV and 1 crossover) with room for more in the driveway. 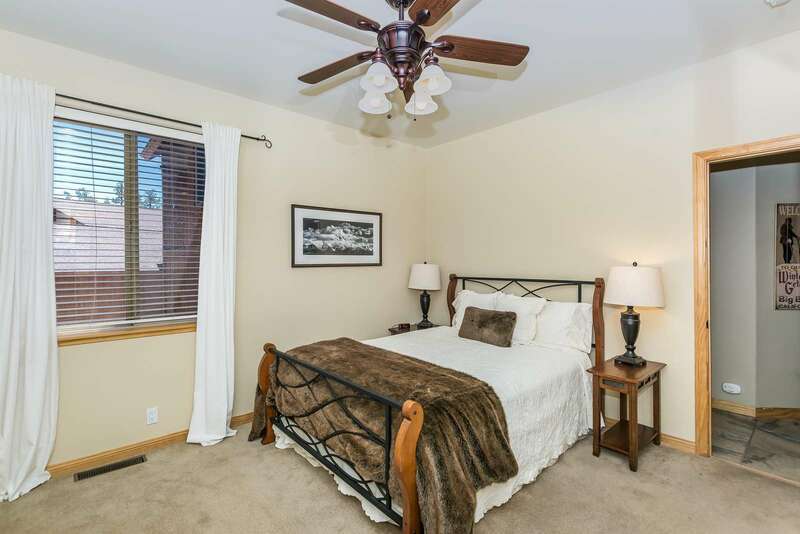 Bedrooms were ideally located and mattresses very comfortable. 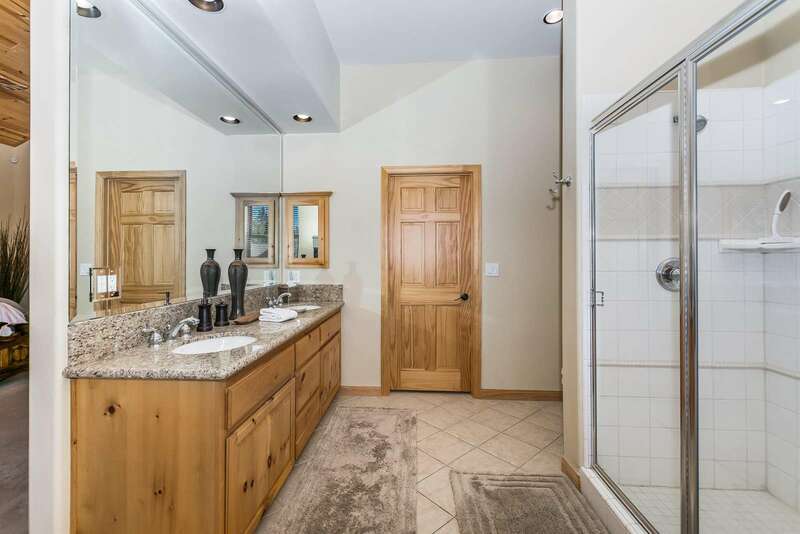 Bathrooms, laundry room and closets had plenty of towels, extra sheets and blankets. The kitchen was fully stocked with accessories. We made several meals with ease using their beautiful newer appliances. 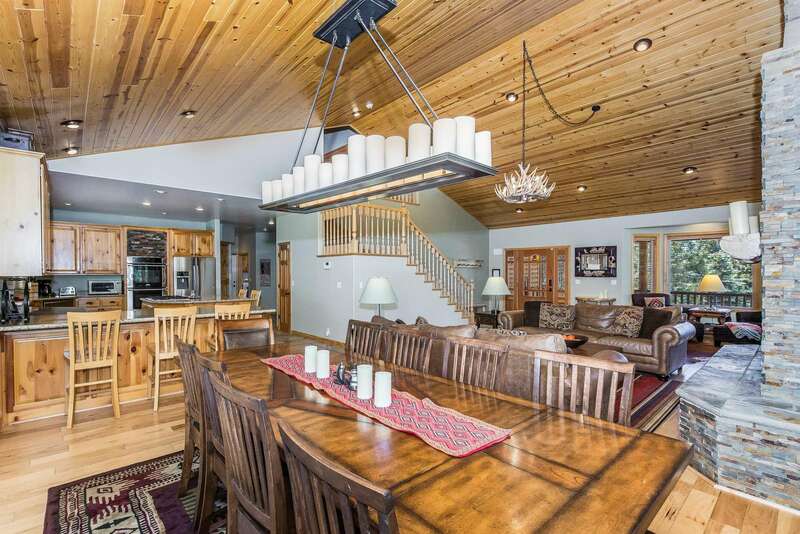 Dining and living room were perfect for eating and playing board games. Fireplaces added a nice ambiance. 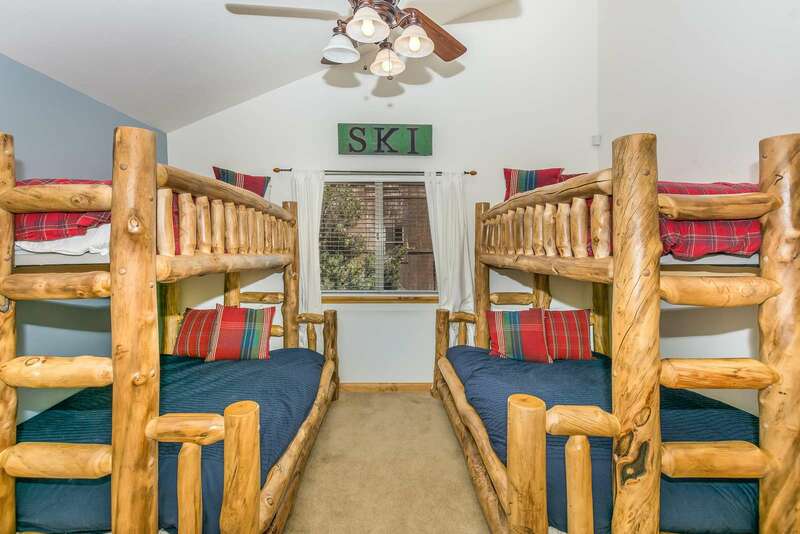 The children enjoyed the bunk bed sleeping and could easily access the full service game room a few steps beyond. The layout of the house is optimal which placed the gameroom over the garage for better sound control. Shelves are stocked with games, toys and adult/children books. The owners were extremely nice and accommodating. All email correspondence were quick and helpful. We would definitely consider staying at this location in the future. This is our second time staying here and it is absolutely wonderful. Always clean, stocked with added conveniences in the kitchen as well as toys for little kids, Xbox and pool for older ones and a bunch of movies, books etc... we had a couple small issues figuring out the DVD and the fire but the owner called us and within 5 minutes everything was working great! He even offered to have the management company come out but it actually was an easy fix. Love this place! We enjoyed our stay at this nice, comfortable home. There were 4 couples with our small children and there was plenty of room for all of us. Craig was very friendly and accommodating. We would definitely stay here again! We came up here for a birthday ski trip and couldn't have found a better place! Plenty of room for the entire group along with great entertainment. We loved the set up of the house and how easy it was to check-in and out. We did have some issues with the refrigerator not staying cold, but it significantly improved overnight (owners did mention they would send someone out if it didn't get better.) Other than that, great place! We set out to find the perfect cabin for our family Christmas- and we found it! What a beautiful home. Our first impression was "Wow"! This home was much more spacious than we expected. 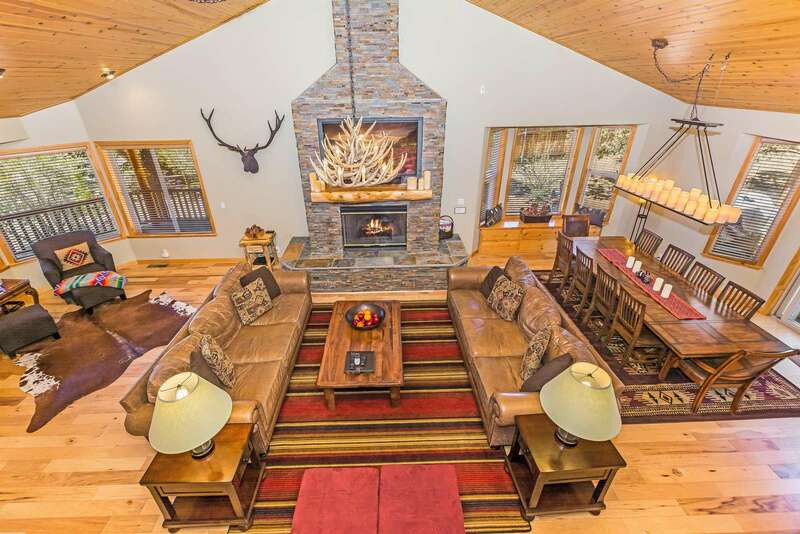 The great room is well equipped with a theater center and fireplace. The dining room has a large table that seats eight, which was perfect for Christmas dinner. 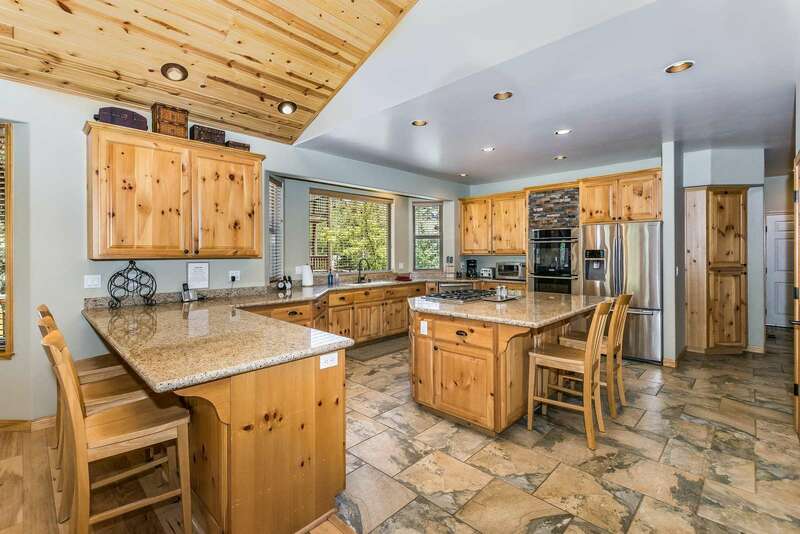 The kitchen is a beautiful gourmet kitchen with stainless steel appliances & large island that really came in handy when baking Christmas cookies! 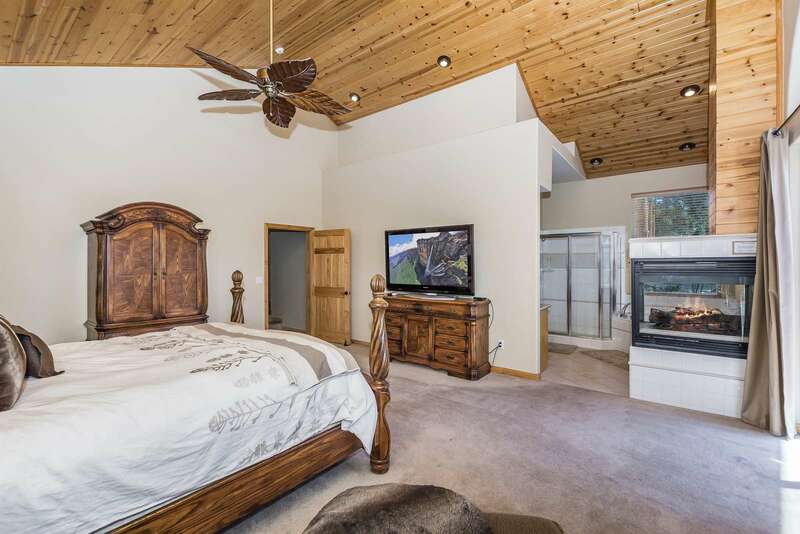 The master bedroom was much bigger than expected with high ceilings. 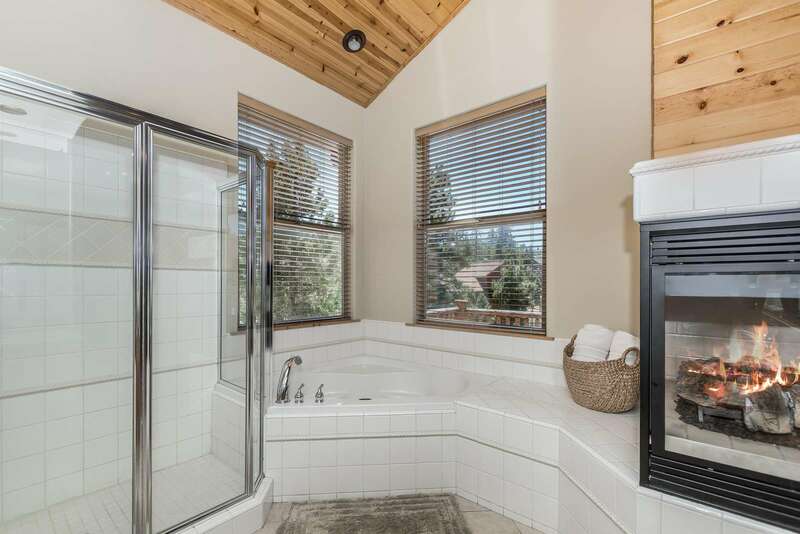 It includes a large jet tub with fireplace that faces both the bathroom and the bedroom. The balcony is perfect for morning coffee. It overlooks the neighborhood. We had a beautiful view of snow capped houses and trees. Our older children really enjoyed the upstairs great room. This room comes with a pool table large sectional and Xbox system and games, with another large screen TV and theater system. 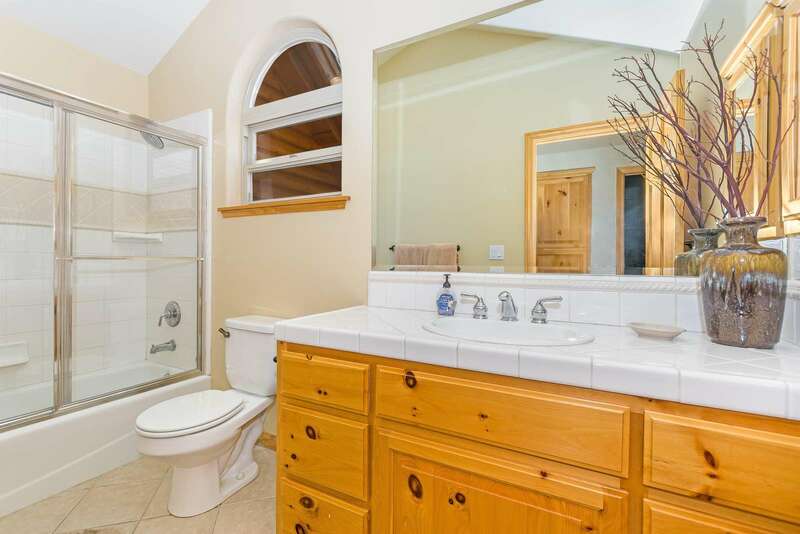 The layout of this house was perfect. It was really nice that the louder teenagers were toward the back of the house- hanging out in the upstairs great room. Regina and Craig thought of everything. There is even a nice upstairs loft complete with children's toys and board games. All of the bedrooms upstairs were spacious and comfortable. 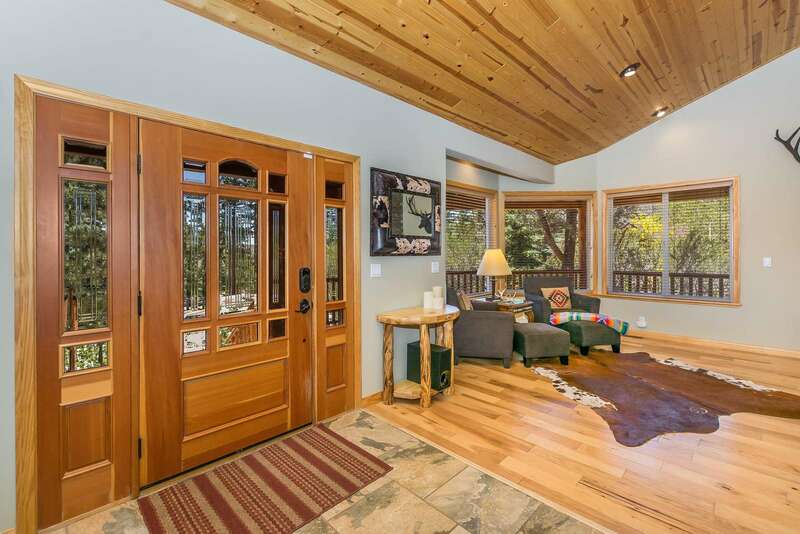 We highly recommend this beautiful big bear home and will definitely be back! Thank you Regina and Craig! We had a wonderful time! 'm leaving this beautiful rental with nothing but high approval and satisfaction. 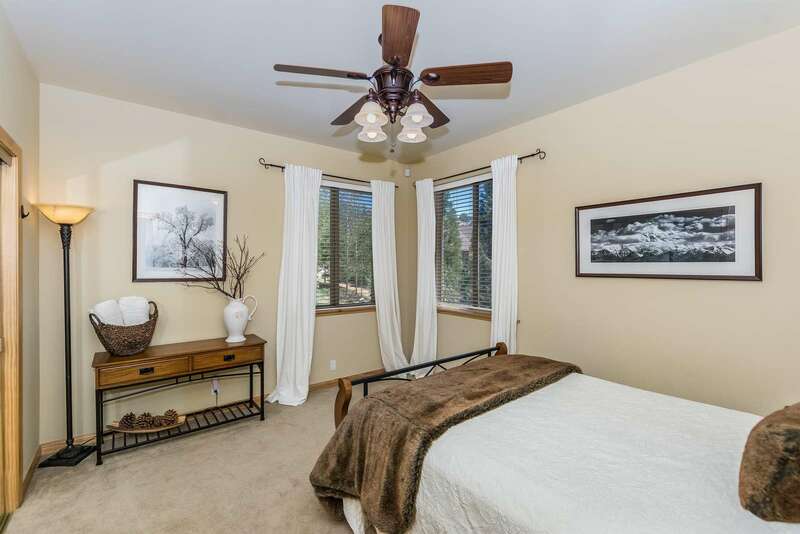 I have rented properties in Big Bear for the past two years now and I will say this has been one property every individual in our party were satisfied with on top of the owners quick responsiveness, accessibility, and hospitality. I am looking forward to booking this place again! My friends and I rented this house and absolutely loved it. Was extremely spacious for 12 people and everyone slept comfortably. 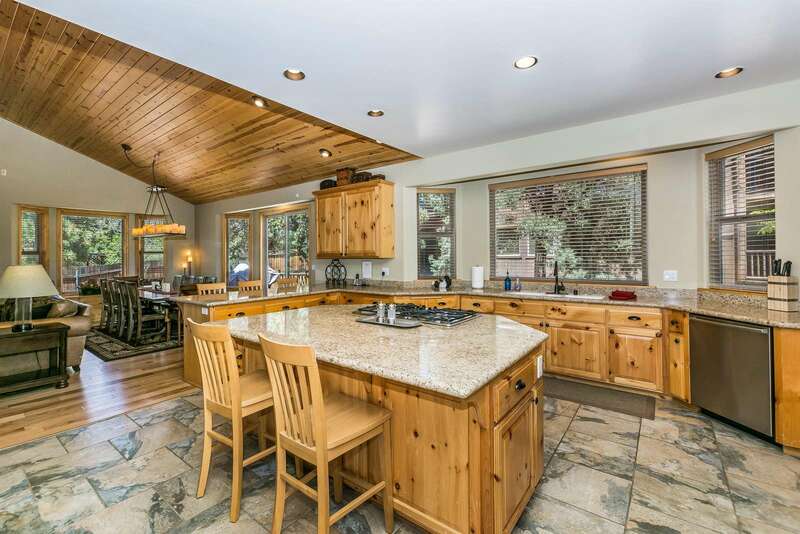 Kitchen is huge and has everything you'll need to make nice home-cooked meals. Definitely staying here again in the future. The house was extremely nice. The living room looks bigger in the picture but it was still big enough to accommodate everyone. The pool room can get a little bit warm when the sun is shining but nothing opened windows can't fix. There were enough blankets, pillows and towels for everyone. House owner was extremely nice and quickly responded; very accommodating as well. One warning though, watch the garage door completely close before leaving because it has a tendency to go back up. We didn't realize it the first 2 hours we were there. Overall, we enjoyed our stay and would definitely recommend this house to anyone. Had a wonderful time this past weekend celebrating a birthday. This was my third stay at this property. 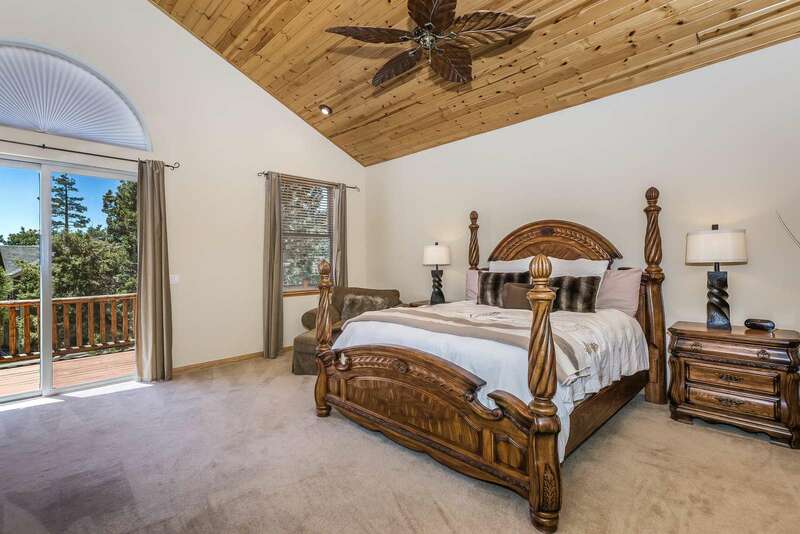 The house is very luxurious and comfortable in a quiet peaceful neighborhood. 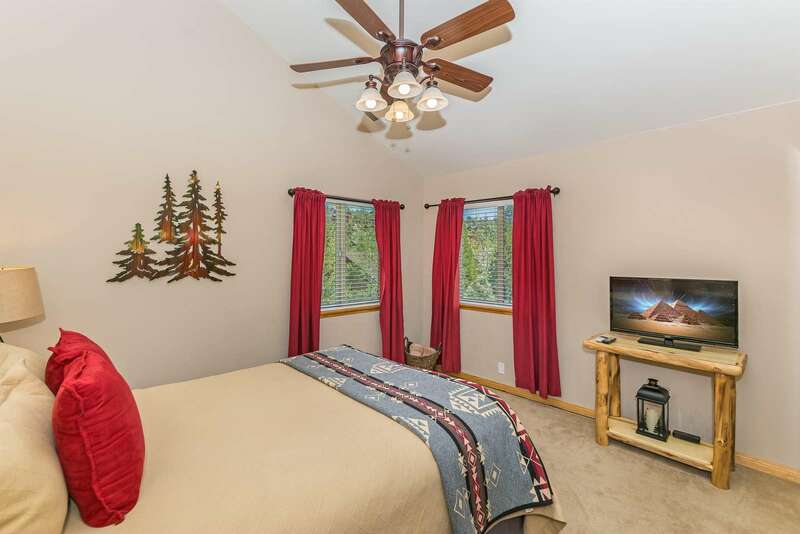 Owner is very easy to work with, home is very clean with any and all amenities provided. Can't wait to return !! This was our second summer here and can't wait to rent this beautiful and immaculate home next year! You feel right at home the minute you walk in the front door. The great room is so comfortable! 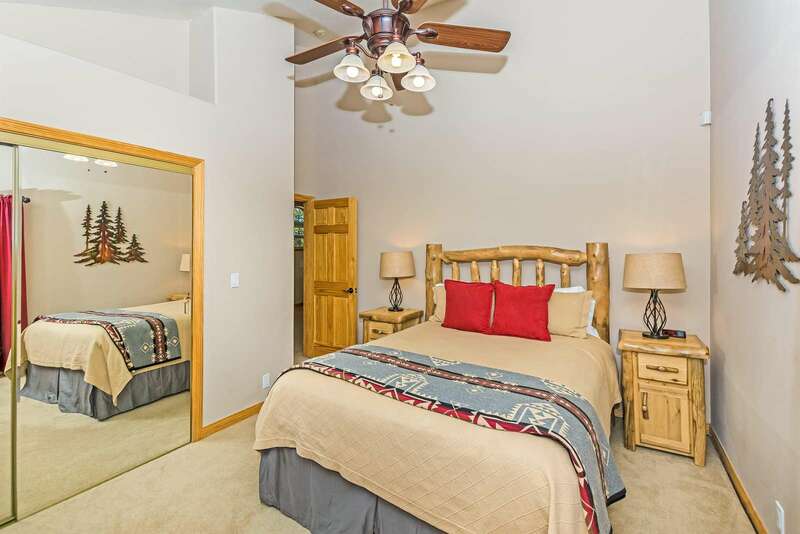 The open floor plan and large dining table, as well as the huge kitchen where you will find anything you would ever need for cooking and entertaining made our stay so nice. 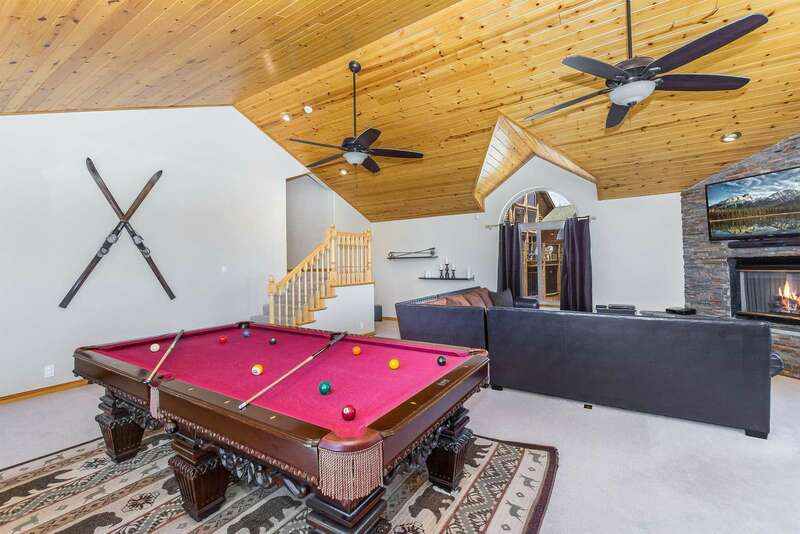 There is a game room upstairs with pool table, bar and tv with games. Perfect for all ages. 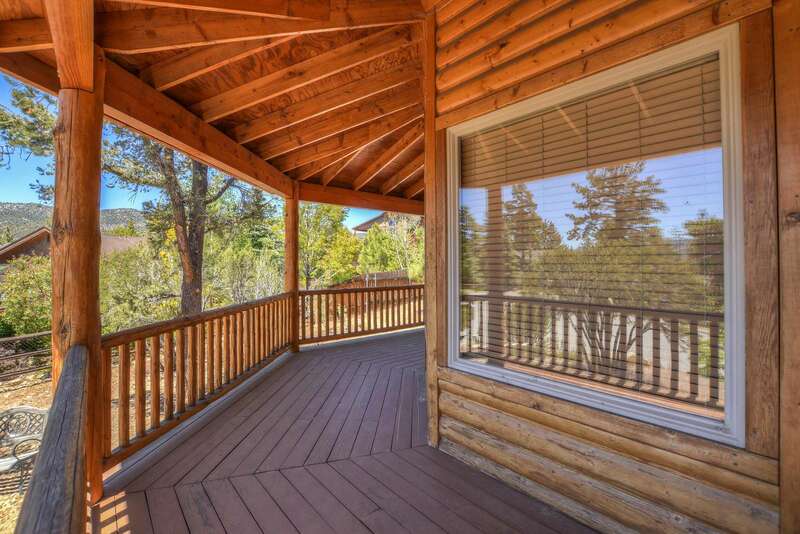 We have been coming up to Big Bear over 20 years and this is absolutely the best home we have ever rented. Thank you to the owner who is available and caring.